American chip designer Cavium has released an ARM-based motherboard specification to Open Compute Project (OCP) community, hoping to boost the potential of the recently launched ThunderX2 server processor. The motherboard was created in line with the requirements of Project Olympus - an open source, hyperscale data center product family originally envisioned by Microsoft to support public cloud services like Azure. “Cavium is pleased to collaborate with Microsoft on contributing world’s first dual socket ARM server mother board design to the Open Compute Project,” said Gopal Hegde, VP and GM of Data Center Processor Group at Cavium. The announcement was timed to coincide with the DCD Zettastructure conference in London, where the motherboard was demonstrated to data center operators. Project Olympus was launched a year ago under the auspices of OCP. This week, Kushagra Vaid, Microsoft’s GM for Azure Hardware Infrastructure, announced that the blueprints for the server family were 100 percent complete and ready for manufacturing and production deployment. Since the end of October, Microsoft has been offering access to Project Olympus hardware through the new ‘Fv2’ virtual machines - the fastest VMs in Azure. Cavium has been an early supporter of the project, positioning its ThunderX2 silicon alongside chips from Intel and AMD. ThunderX2 is a second generation 64-bit SoC based on ARMv8-A architecture, able to scale to 54 cores clocked at up to 3.0GHz. It supports six DDR4 memory channels, with up to three terabytes of memory in a dual socket configuration. 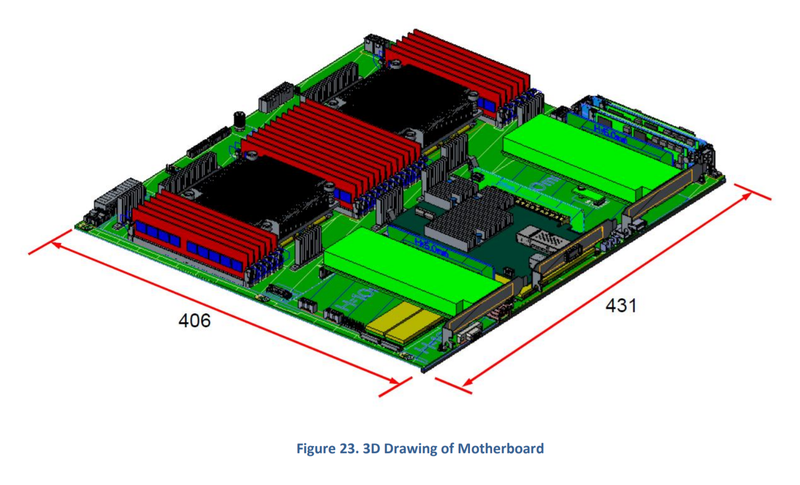 The specification of the motherboard designed by the company for Project Olympus includes block diagram, management sub-system, power management, FPGA Card support, IO connectors, and physical specifications. It is available through the OCP website. “We designed Microsoft’s Project Olympus with the ability to accommodate a variety of workloads and processor architectures,” Vaid said in a press release.